There are so many delicious chocolate candy recipes that you can make a new one every time you like. This page contains chocolate candy recipes. Share on ThriftyFunThis guide contains the following solutions. Have something to add? Please share your solution! Fancy holiday treats can be budget breakers especially if the budget is already tight. However, with just a little creativity you can make delicious treats at a fraction of what it would cost to buy them already made. If you like chocolate, try some of these ideas for yourself or for your holiday parties. Mix 1 bag or box of dried cranberries with 1 bag of dark chocolate chips to create an inexpensive version of a gourmet treat. 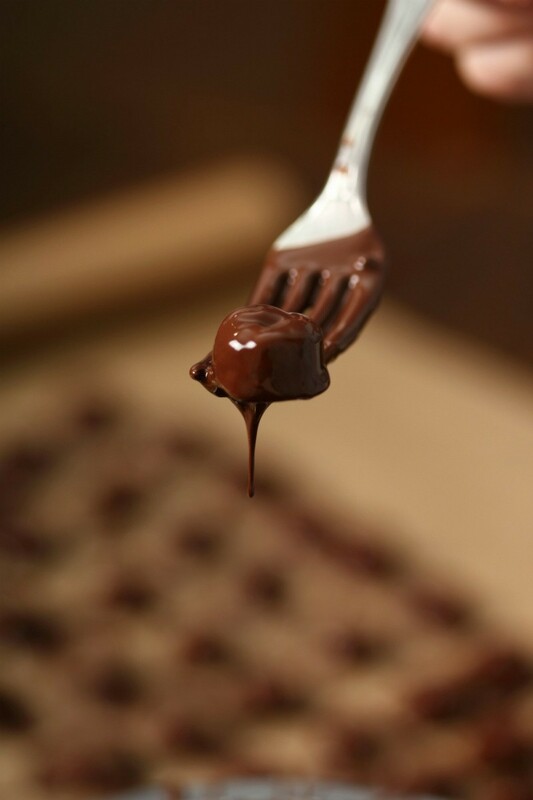 Melt dark chocolate chips in the microwave. Stir in dried cranberries. Drop spoonfuls of mixture onto wax paper to cool. You can place this delicious mixture on a party table or put it in an attractive glass jar as edible holiday decor in the kitchen. This is an easy way to enjoy a delicious flavor combination. You can also add some nuts to the mixture. Buy some of the delicious chocolate bars that are available in various flavors such as mint, orange, raspberry, or any other flavor you prefer. Melt the chocolate bar in the microwave. Cover a baking sheet with wax paper, place a single layer of crackers or cookies on the wax paper. Drizzle the melted chocolate over the crackers or cookies and let cool. Cookies such as butter thins, lemon thins, ginger snaps, or shortbreads are good choices. In a mixing bowl, stir together butter and chocolate. Beat in corn syrup, 2 cups of confectioner's sugar, powdered milk and vanilla. Sprinkle table with 1 cup confectioners' sugar. Place dough on top and knead until remaining sugar is mixed in. I'm diabetic and prefer real ingredients. This is a spoon candy, not the hard pick-it-up kind. 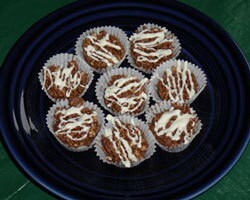 Mix cocoa, nuts, extracts, coconut oil ,and honey, then add yogurt. Mix until it is all creamy. Add a bit more vanilla only if necessary, a little liquid goes a long way. If you just take a spoonful out per day and keep it in the fridge, it will get hard without the yogurt. It is very filling and all the ingredients are healthy. You can use any kind of nuts you like, also add blueberries (fold them in carefully so they stay whole) if you want. These tasty coconut candies are a great holiday treat. When I was a kid growing up on our dairy farm in Wisconsin 40 years ago, my big sister would make Bonbons for Christmas. Back then I thought they might just be about the best thing I had ever tasted  and I still think so. Ask a QuestionHere are the questions asked by community members. Read on to see the answers provided by the ThriftyFun community or ask a new question. I have a whole bunch of Wilton candy melts. I was wondering if you could use them to make chocolate bars? If so, do I need to add anything? If not, what is a basic recipe for chocolate bars. Thank you in advance! Place your candy melts in a microwave-safe bowl and heat in the microwave for 1 minute at 50% power. Stir again for about 1-2 minutes, then check the temperature on your candy melts. © 1997-2019 by Cumuli, Inc. All Rights Reserved.